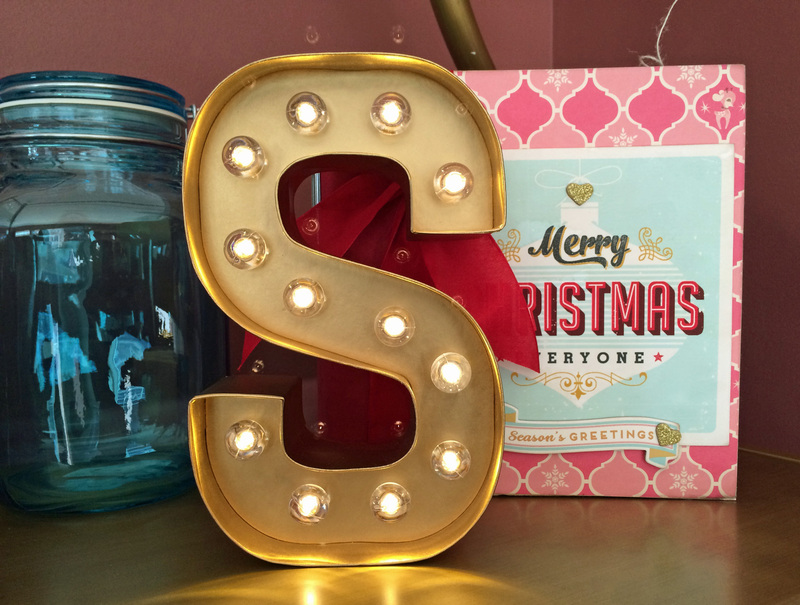 Have you seen the new Marquee Love Letters from Heidi Swapp? 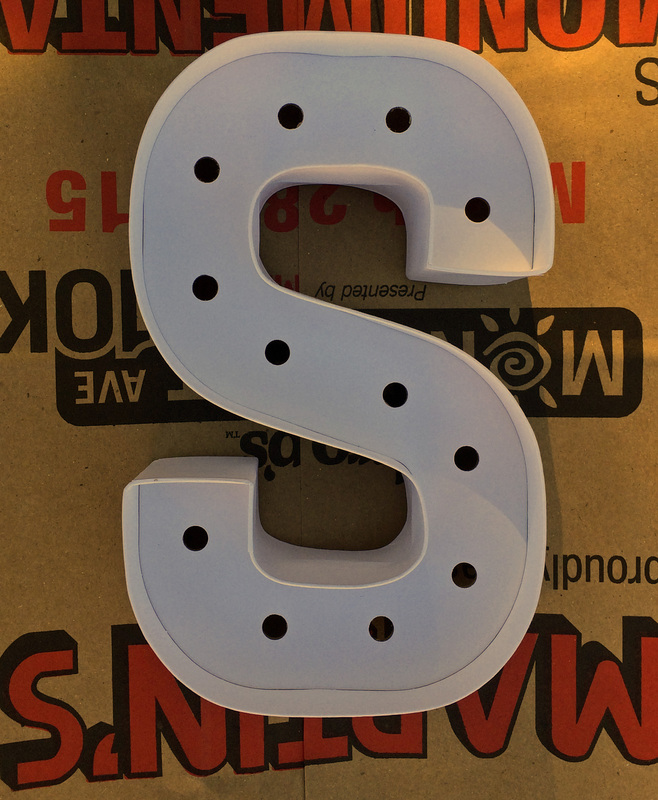 As soon as they were available at my Michaels I picked up the letters S and A.
I thought about waiting to decorate them when the new coordinating tapes and glitter came out. But then the idea came to me to use the same spray paint on them that I had used on my DCWV deer. Several others in this house thought so too. One even ran off with my letter A. Looks like we’ll be headed back to Michaels for more Love letters. So much easier than trying to make them ourselves!!!!! I think I might go get the letters to spell noel, peace or joy for next Christmas! !